Following reports that Evans father, Mr. Stephen Onwuamadike was living in poverty in the village while his Billionaire kidnapper son was living an extravagant lifestyle, Evans has revealed that he took good care of him by buying him two vehicles and also gave him the sum of N3 million, which he said his father used to start fish farming and his pig rearing business. 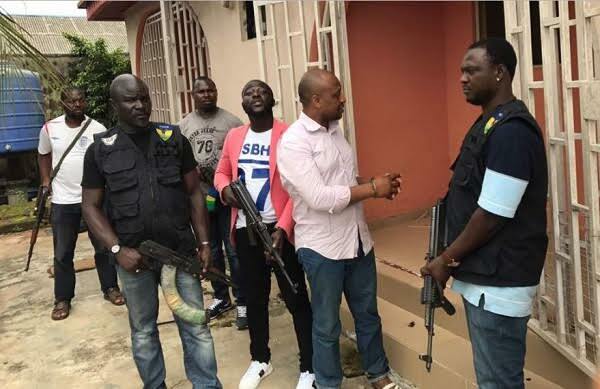 Evan who led police operatives to two houses in Ejigbo and Igando areas of Lagos state where he kept some of his victims for months, made the disclosure during a chat with Vanguard. ’He stopped paying my school fees which made me drop out of school. He went on to marry a second wife. As if that wasn’t enough, my father took a third wife and he married her as a 70-year-old man. 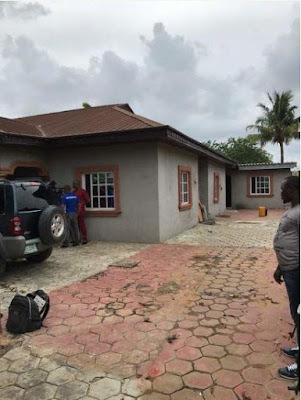 The kidnap kingpin also took detectives to a bungalow at Orisunmbare by hospital junction in Jakande Estate, Lagos where he had another hideout. ‘’I was not happy with my father, that was why I don’t go close to him but I made sure I provided all his needs. I bought him a car and a bus. They are in our compound and I also gave him N3 million which he used for his pig and fish farming business. According to him, he used to help his family members a lot including children of his father’s other wives, stating that his father lived a wayward life that made him divorce his mother. He continued ‘’I know I have done terrible things but I want to be forgiven. I also want to advise other criminals to turn a new leaf. The Nigeria Police is not what it used to be. They are far more advanced than they were. If they could arrest me, there is no criminal they can’t arrest, “he stated. He also revealed that the Igando hideout, located at Green Street, was where he kept five persons including Chief James Uduji and Francis Umeh at the Igando den. He stated that he vacated the den when people started suspecting his activities in the area. 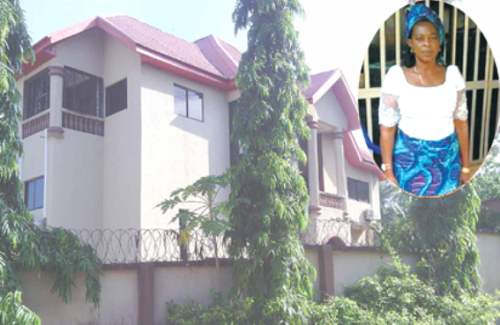 He further disclosed that he rented the apartment in 2014 stating that he kept Francis Umeh for five months in that apartment before he moved to the other house in Ejigbo. Evans equally revealed that he contacted Colon Cancer while he was trafficking drugs. He said he used to swallow wraps of cocaine and one of it got burst in his stomach. He revealed that he is a good family man and normally leads his family in prayer because he knew he was a bad person who had done so many terrible things and he wanted God to forgive him through his children’s prayers. The 36-year-old from Nnewi, Anambra State was arrested last weekend in Lagos. He's responsible for coordinating several high-profile kidnappings and armed robberies within several states in the country. 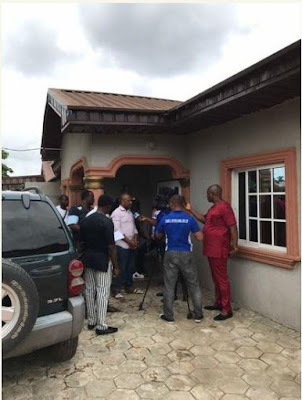 Here’s the house, Kidnap Kingpin, Evans with real names as Chidumeme Onwuamadike, built for his mother at Akamili, Umudim in Nnewi, in Anambra State. A Vanguard reporter who went to dig out more reports on him took the photo. She actually lives there.